Have you ever wondered where the expression “Don’t wait until you are thirsty to dig the well” came from? Acupuncture is one of the world’s oldest continuously-practised therapies with historical literature stretching back over two millenia. In recent years many of the traditional references to acupuncture’s effectiveness in specific conditions have been confirmed by research. (For more on acupuncture research click on the Acupuncture Research tab). The practice of acupuncture involves the stimulation of particular “acupuncture points” on the body with fine needles, finger pressure or heat (moxibustion) and more recently electrical and laser stimulation. The Yellow Emperor’s Classic of Internal Medicine, first listed in imperial records in 24AD (but many parts of the work are probably much older), lists 160 acupuncture points but modern texts list 362 channel points with hundreds of other “miscellaneous” and “new” points. Of the modern 362 channel points, 350 of them had already been established by 282AD. In 1026AD, by Imperial decree, a life-sized bronze statue was cast showing the acupuncture points to act as a standard for acupuncture point location. 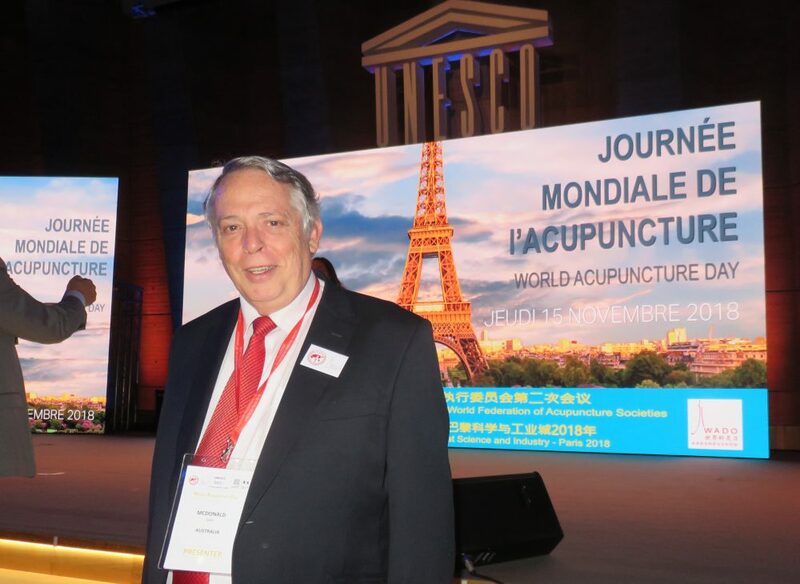 In 2008, a new international standard for acupuncture point location was published by the World Health Organisation (Western Pacific Regional Office). Acupuncture needles used in Australia today are all single-use factory-sterilized and the importation of acupuncture needles is controlled by the Therapeutic Goods Administration to ensure quality. Acupuncture needles are much finer than hypodermic needles which is what many people will think about when they hear the word “needle”. Acupuncture needles have no cutting edge like a hypodermic needle which is why acupuncture is virtually painless and bleeding after acupuncture is rare. The Australian Health Practitioners Regulation Agency (AHPRA) is a federal government body which now overseas the registration of 14 health professions including medical practitioners, nurses, physiotherapists and acupuncturists (along with Chinese Herbal Medicine Practitioners and Dispensers under the auspices of the Chinese Medicine Board of Australia [CMBA]). To be eligible for registration as an acupuncturist, students are required to complete Bachelor degrees. For this reason, it is recommended that anyone seeking acupuncture treatment in Australia should ensure that the practitioner is a registered acupuncturist.